Here is the video on the card that was just posted. 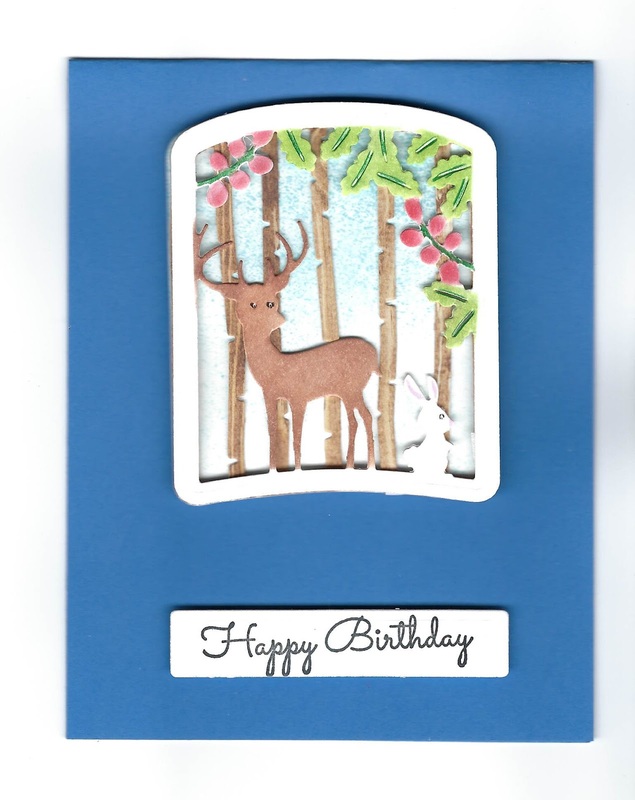 The Woodland Layered Birthday Card, if you questions just email me and I will get with you. Have a blessed day. 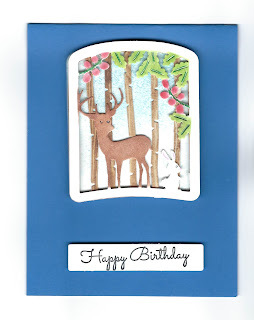 Here is a card that I have done and we did this one in a class. I will post a video here later today on how I made it. It has 3 layers to it and it is a Spellbinders die. I also used PanPastels to color it from Fun Stampers Journey. You may find all of these products by clicking on the banner on the right side. It will take you to the web site so that when you order I will receive credit and get a small commission. When you do please let me know so that I can send you a free gift. Have a blessed day.